Chudleigh’s 2nd Annual Apple Piefest-Baking Competition is September 17th, 2011 and I am entered!!!!! This is my very first pie competition and I am excited to be a part of it. My friends - Meredith and Dan from the haggis and the herring will be there to cheer me on and maybe help me a little in the preparation...after all it was Dan and Meredith who insisted I enter. It is a great day out for the family so if you are around that weekend in Toronto, come on by - win or lose, it will be fun and you can get some terrifc apples and apple treats. As an added twist this year, Chudleigh’s will hold a Silent Auction for the Apple Pie entries. All bakers will be required to bake two identical pies-one for the contest and one for the Silent Auction. During judging, spectators will get the chance to weigh-in on the best pies and place a bid. The highest bidder for the pie that wins receives a Season’s Pass to Chudleigh’s as well as taking home the winning pie! All proceeds from the Silent Auction will be donated to the Starlight Childrens Foundation. The competition is free to enter and open to the public. - Bakers must arrive at 10:30 a.m. on September 17 to enter their pie. 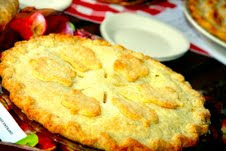 - To qualify, all apple pies must be homemade, have at least a bottom crust, and the only fruit it may contain is apple. - Bakers must submit two identical pies in a disposable 9" foil pie plate - one for judging and one for the Silent Auction. 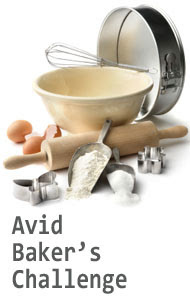 - Pies must be able to stand at room temperature (there is no refrigeration). 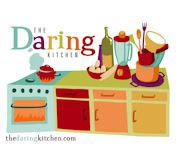 - Entrants must bring a neatly handwritten note or a typed recipe for the pie and pie crust. - Bakers and one guest will receive free farm admission. - Judges will rate them before they are cut. - Judges are instructed to taste just the crust and rate on flavour, flakiness, and melt-in-your-mouthness. - Judges taste the filling alone and rate on flavour and consistency. - Judges taste filling and crust together and rate on the symbiosis of the two. - Best Eye (Silent Auction) - The highest bidder for the pie selected as "Best Overall Pie" will win a 2012 Family Season Pass to Chudleigh's and the winning pie! Chudleigh's Entertainment Farm is located at 9528 Hwy 25 in Halton Hills, Ontario. For directions, visit Chudleighs. Thanks Jennifer! Your pie was very pretty and I loved the taste of it!